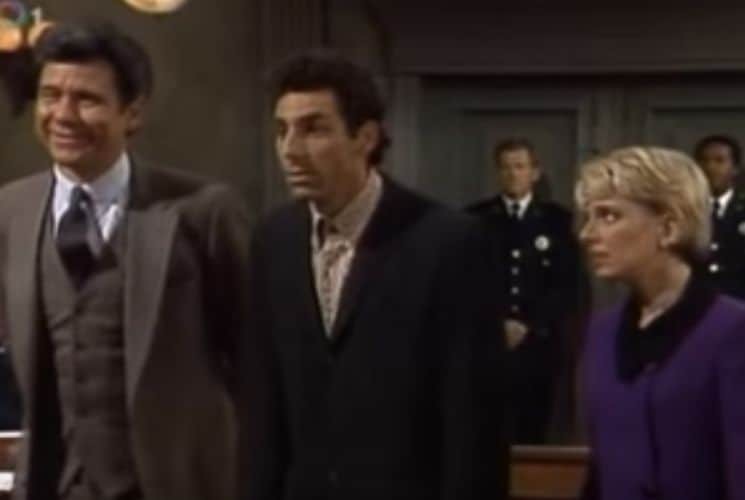 Night Court was a 1980’s comedy starring Harry Anderson and had running through its court system many future stars, such as Michael Richards, Brent Spiner, Gregory Itzin, Nancy Marchand, and Susan Diol. Most of the show took place in Judge Stone’s courtroom with every kind of wacky personality you can imagine. It is likely many of them were taken from the real life events at a night court in New York. John Laraquette was the district attorney, and various women played the public defender throughout its 5 year run. In this clip, Eugene Sleighbough believes he is invisible to people. He has rational justifications, such as when he is sitting in a doctor’s office or restaurant, people say things like, “I didn’t see you there.” He is arrested for burglary, and his defense attorney claims he has a mental problem. Richard’s portrayal of this character is very similar to how his major success with Kramer in Seinfeld came to be. Regardless of the reality around him, he manages to slant the truth or reality just enough to make it seem plausible – if you are willing to let your imagination run wild. When Larry David made Richards the choice to cast as Kramer, he couldn’t have done better.